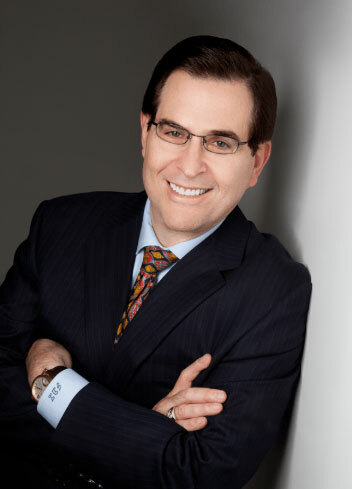 Jeffrey D. Zwirn, CPP, CFPS, CFE, SET, FASI&T, CHPA-IV, MBAT, President of IDS Research and Development, Inc.
Jeffrey D. Zwirn, CPP, CFPS, CFE, SET, FASI&T, CHPA-IV, MBAT, President of IDS Research and Development, Incorporated has over 40 years of specialized expertise in the alarm and security industry, he is a 22 Year Active Designated Expert Instructor to the New York City Police Department (NYPD), the Nation’s Leader in Law Enforcement, Master Alarm Technician, Florida, New Jersey, New York State, Washington, D.C., and Delaware, Certified Burglar and Fire Alarm Contractor, Florida State Registered Electrical Contractor, Certified Burglar and Fire Alarm Specialty Electrician, Certified Protection Professional (CPP)-Board Certified in Security Management, ASIS International, Certified Fire Protection Specialist (CFPS) National Fire Protection Association International (NFPA), Certified Fraud Examiner (CFE), Certified NICET Level IV Senior Engineering Technician (SET) in Fire Protection Engineering Technology/Fire Alarm Systems, Certified in Fire Protection Engineering Technology/Automatic Sprinkler System Layout Level I, National Institute For Certification In Engineering Technologies (NICET), and Certified Fire Protection Engineering Technology/Inspection and Testing of Fire Alarm Systems (FASI&T), Certificate Number 111275, a division of the National Society For Professional Engineers, and Certified Homeland Security Protection Associate Level IV (CHPA-IV) by The National Sheriffs’ Association in partnership with The Global Society of Homeland and National Security Professionals. Mr. Zwirn has been involved in the security survey, need analysis, system recommendations, sales, design, installation, programming, testing, inspection, service, maintenance, and monitoring of more than three (3,000) thousand security and life safety systems for residential, commercial, industrial and governmental applications. The Alarm Science Manual™ is a first of its kind authoritative peer reviewed forensic treatise on security systems. 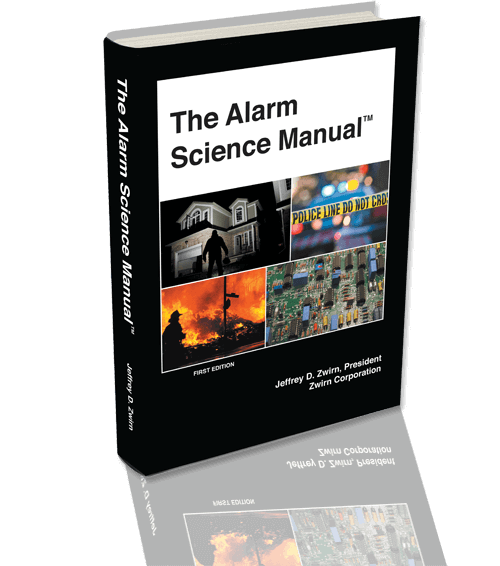 The Alarm Science Manual™ provides expert knowledge and resources. 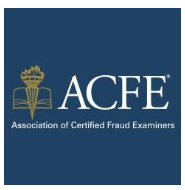 Forensic knowledge, advanced methodologies, and countermeasures. 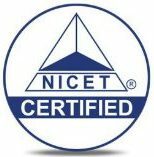 Technical expertise and guidance for professional alarm companies, central stations, central station operators and supervisors, security experts, local and federal law enforcement, certified protection professionals, physical security professionals, certified fire protection specialists, certified fraud examiners, certified criminal investigators, NICET certified technicians, fire protection engineers, electrical engineers, certified fire investigators, authorities having jurisdiction (AHJ), special investigation units, arson investigators, private investigators, lawyers, judges, undergraduate and graduate students whose course of study is in criminal justice, forensic science, physical security, electronic security, fire science, loss prevention, homeland security, private and public corporations, and consumers. “At last, a book about an important subject that the nontechnical among us can read and understand. Although those of us in the safety and security professions are fully aware of the importance of intrusion detection systems and fire alarms, rarely can we find a book on the subject that is both highly informative and yet very readable, or ‘user friendly’. 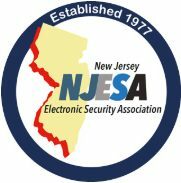 The book’s author is Jeffrey D. Zwirn, a nationally known alarm specialist with extensive history in all aspects of alarm development, operations, installation, and monitoring. Zwirn holds multiple, respected certifications such as CPP, CFE, CFPS, and a host of others. Zwirn is also a master alarm technician and is a burglar and fire alarm certified contractor in Florida, New York, and New Jersey. Not only is he a master of his trade, Zwirn also has wide-ranging experience as a forensic consultant who has served as an expert witness in various courts across the country. In addition, he has produced training curricula for the New York City Police Department (NYPD) and the Joint Terrorism Task Force, among others. The Alarm Science Manual is divided into seven information-filled chapters. Chapter 1 introduces the reader to alarm basics while Chapter 2 delves into specific technologies, features, and devices. 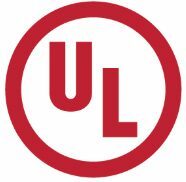 Chapter 3 focuses on fire protection in particular while Chapter 4 discusses best practices in the industry. Chapter 5 includes case histories detailing the human tragedies that have occurred due to a variety of technical and human errors. Chapter 6 appropriately details the liability consequences of failing to follow acceptable alarm practices. Finally, Chapter 7 provides an overview of certain current issues in the industry. This book is to be commended for its authority, content, and clarity. It reminds me of the enormously popular Protection of Assets Manual in terms of its readability and focus on the most important issues concerning the alarms segment of security and safety efforts emphasized in modern societies." Dr. Kennedy has developed expertise in forensic criminology: the application of criminological knowledge to matters of immediate concern to various courts of law. Dan practices this specialty in three ways: academic publication, participation in litigation as an expert, and teaching. He is widely published in such Journals as Journal of Police Science and Administration, Journal of Criminal Justice, Justice Quarterly, Crime and Delinquency, Professional Psychology, Journal of Social Psychology, Criminal Justice and Behavior, FBI Law Enforcement Bulletin, Police Quarterly, The Police Chief, Security Journal, Security Management, Journal of Security Administration, American Jails and a host of others. Dr. Kennedy frequently is called to court to testify in cases involving state police agencies, municipal police departments, and county sheriffs’ departments. His testimony generally involves explaining to jurors the appropriate standards of care for the use of deadly force, vehicle pursuits, emergency psychiatric evaluations, prisoner health care, prevention of prisoner suicide, positional asphyxia/excited delirium, and “suicide by cop." Also, Dr. Kennedy evaluates numerous lawsuits concerning premises liability for negligent security in the private sector involving properties both In the U.S. and overseas. He specializes in crime foreseeability issues, appropriate standards of care in the security industry, and analyses of the behavioral aspects of proximate causation. As further evidence of his expertise in these areas, Dr. Kennedy has published various book chapters and Journal articles on negligent security issues. “Alarm system planning, selection, installation, and monitoring is completely understood by most security practitioners. Confidence in the installer or central alarm monitoring organizations is sometimes badly placed. Jeffrey D. Zwirn has been an alarm industry expert for over four decades. His involvement began early when he configured his own alarm system before the age of 10. Zwirn went on to build a large, independent alarm biz in Florida. He sold it, moved north, and has largely concentrated on alarm consulting since then. 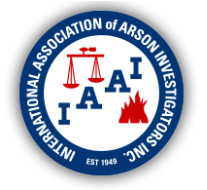 As one of the nation’s leading forensic consultants on alarm standards, he has seen plenty of examples where alarms have made society safer. In this highly personal book, Zwirn shares case histories of what has gone wrong, why, and the consequences. Zwirn writes this book for alarm dealers and installers. Yet anybody who is responsible for alarm systems selection and management could benefit. The writing is non-technical. Scores of full-color images make the subject matter alive. Eighteen mini-quizzes add a challenge." Robert McCrie began his career in protection as a security guard in his home town of Toledo, Ohio. Upon graduating with a bachelor’s degree, he began his teaching career in biology at the University of Toledo. He subsequently conducted research and studied in the US and Denmark. He next became an advertising copywriter on scientific and consumer accounts at a series of New York City advertising agencies. In 1970, he left advertising and started a newsletter concerned with protection of assets from loss. The next year he began consulting in a wide variety of issues concerning security. 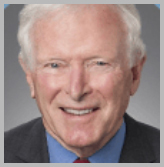 In the 1970’s McCrie joined the advisory board of John Jay’s Security Management Institute. In the following years, he became more involved at John Jay planning programs, lecturing, and aiding students. In 1986, McCrie joined the faculty on a tenure-track line, eventually reaching full professor and serving as chair (1997-2003). En route he obtained a doctorate in urban history under Richard C. Wade. McCrie has written and edited widely in the field, including Security Operations Management, published by Butterworth-Heinemann. Professor McCrie founded the B.S. in Security Management major and has coordinated the M.S. in Protection Management degree at John Jay College of Criminal Justice. Mr. McCrie also edits Security Letter and was the founding editor-in-chief of Security Journal. His awards include the President’s Award of Merit from the American Society for Industrial Security and the Breslin award from the International Security Management Association. In recent years, he has become committed to the radical reform of prisons in the US and other countries. Mr. Jencroft is the holder of 12 Patents in several fields. “Jeff Zwirn has made the security industry more observant and responsive. During the years I have represented the industry it has gone through a very significant evolution. When I first represented the industry, there was little if any regulation or oversight. Technology was years behind in innovation and communication. Security companies were fortunate in what they were able to include within their contracts, i.e., language, which under most circumstances protected them from liability. As the industry joined the computer age and technology became a part of the industry, legal challenges became more prevalent. Security companies were required to assess the risk and recommend appropriate security coverage for each individual installation. This gave rise to a new industry, ‘expert evaluation of the risk.’ Security companies were not required to make certain not only that the security they recommended was appropriate, but that it was properly installed, services and maintained. Then emerged Jeff Zwirn. A number of expert witness, knowledgeable in the industry preceded Jeff, but none who possessed his technical and engineering skill and prowess. He has become the leading expert witness in the field and has positively impacted the industry on the importance of doing it right. Jeff is widely relied upon by the security industry in determining the proper installation, maintenance and use of security systems. Plaintiffs and defendants race to call Jeff to make sure they get to him first." Recipient of the George R. Lippert Memorial Award from the Security Industry Association for exemplary service to the security industry, inducted into the SSI Hall of Fame for distinguished industry service to the electronic security industry, recipient of Lifetime Achievement Award from the California Alarm Association for service to the security industry, AV® Preeminent™ Rating, Martindale-Hubbell, formation of several major security alarm and integration companies, lead counsel in acquisition of one of the largest security alarm companies in the United States, authored California alarm licensing law, worked with many municipalities and states to develop licensing and standards, and served as counsel to many buyers and sellers in some of the largest and smallest acquisitions in the security-related industries. “This case settled ‘on the courthouse steps’ as the saying goes. It is confidential and so I am restricted in my comments. But for your ‘expert’ intervention, the defense ‘manufacturer-installer’ would have escaped unscathed. With your ‘expert’ intervention they were compelled to enter into a settlement on the day the case was set for trial. As I said above, the settlement is confidential but I can tell you this: Our client got her job (and dignity) back. It was a long road back for her from the trauma of the sexual assault. Your attention to detail made this possible. Your deposition testimony was the keystone to a very successful resolution of a very difficult case. Thanks for your help. I hope our paths cross again."